How to Restore Missing Desktop Icons? 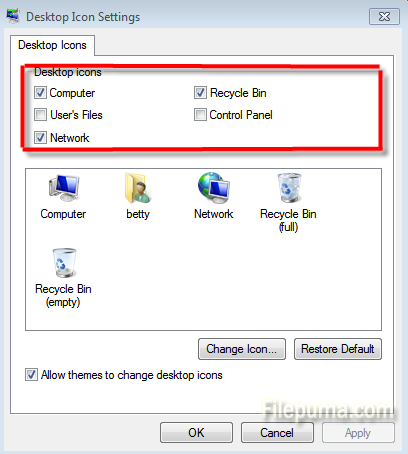 When you accedentially remove a certain desktop icon from your computer or all of the icons are removed by some virus, you can restore the icons back to your desktop easily without installing any software. This article will show you the details. Step One: Right-click the desktop and click “Personalize” at the bottom of the list. 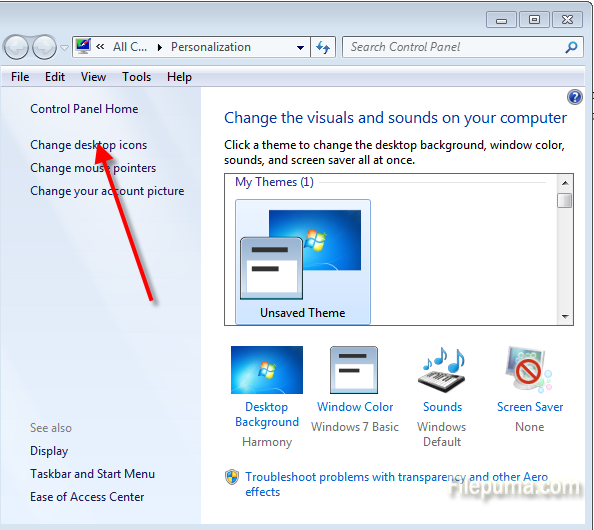 Step Two: Click “Change desktop icons” link on the left side of the window. Step Three: In the “Desktop icons settings” window, find the missing icon and check it. Click “OK” to apply the change and the icon will appear on the desktop again.